Chances are you’ve heard adults at your church talking about an event called the General Conference Session. You may have wondered what the big deal is and why they won’t stop yapping about it. If you’ve been at least a little bit confused by all the talk, then have we got the article for you! Introducing, the “Beginner’s Guide to the General Conference Session” by A Sabbath Blog. First of all, here’s a very basic guide on how the Seventh-day Adventist Church is organized. It’s especially helpful in understanding the GC Session if you aren’t familiar with the Church. Imagine you have a a lot of marbles. All of these marbles are inside a box. The box is inside your room. Your room is inside your house (of course). The Seventh-day Adventist Church is organized similarly. The marbles in the example represent local churches. The box represents a Conference, the room represents a Union, and the house represents the General Conference. The most basic level is your local church. You know… the place you go every Saturday morning with your friends and family to worship God. A conference is a region with a number of local churches (for example, the state of Florida or Michigan). Some conferences cover more than one state or parts of a state. Each conference has a headquarters where the conference’s leadership works. A union is the region that covers a number of conferences. It also has a headquarters filled with offices for the union leadership to work. You may have heard people talk about "divisions," such as the North American Division or the South Pacific Division. In this case, a division doesn’t mean splitting up. A division is actually the General Conference represented in a certain geographical region of the world. In other words, the North American Division is the section of the General Conference covering North America. The General Conference Session is a very large meeting where delegates (i.e. Representatives) from around the globe gather to vote on agenda items, new leadership, make changes to the Church’s constitution, and hear reports on what and how the Church is doing all over the world. This summer, the 59th General Conference Session will take place June 23 – July 3, 2010 in Atlanta, Ga. Sessions take place in stadiums –and for good reason! Over 70,000 people are expected to attend the Session this summer. 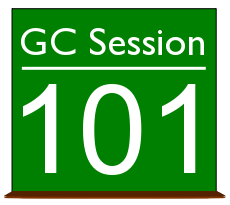 Currently, a GC Session takes place every 5 years. In 2015, the Session will take place in San Antonio, Texas. The Church has been having these Sessions since 1863 in Battle Creek, Mich.
On the first day of the Session, all 2,410 delegates decide who among them will serve on the Nominating Committee. This Nomination Committee –usually a group of 235 people– nominates church officers. Let’s say that the Nominating Committee nominates a person to be the next president of the Adventist World church. That person’s name “is immediately presented to” all 2,410 delegates. Then, the delegates vote either “Yes” or “No.” If the majority of the vote is “Yes,” then that person is the new president. If the majority of the vote is “No,” then the Nominating Committee meets again to recommend someone else for the job. This is the process used to fill other jobs at the world headquarters, as well. Why do we elect church leaders this way? Why can’t a person just “run for office” like a politician does? According to Adventist News Network, the process is meant to “discourage campaigning” as the Session date nears. Since the Nominating Committee is chosen on the first day of the Session, and only the Committee can decide who to recommend –to paraphrase Lowell Cooper– the job looks for the person, instead of the person looking for the job. Approximately 350 delegates are from the world headquarters. The rest of the 2,410 delegates are from the 13 divisions. Each Conference and Union sends their president and two more delegates. * All delegates must be Seventh-day Adventist church members. The GC Session isn’t just for delegates, it’s also for anyone who wants to attend the event. Visitors may not get to vote, but we can still watch. There are hundreds of booths and exhibitions, and programs featuring the Church from around the world. It’s a great opportunity for people to see just how international our church really is. It’s exciting to see our brothers and sisters in Jesus from far away countries. There are many other reasons youth and adults get excited for the GC Sessions. Some are excited because they’ll get to visit the United States. Others get excited because they’ll see friends that they haven’t seen in a very long time. Still others get excited because they are curious to see who will be the new church leaders, or if the current ones are reelected. The best way to see what all the excitement is about is to go to the Session yourself! If you can’t make it, keep checking A Sabbath Blog, and we’ll show you how you can watch the event live and stay informed! *Missions and union missions is like a conference and unions, but isn’t self-sustaining and receives outside funding. Missions and union missions each send their president and one other delegate.